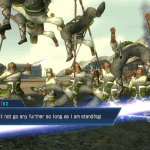 Dynasty Warriors is a game that has a long history with fans that enjoy hack and slash combat. 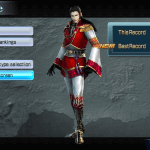 It is a spin off of Koei’s long running “Romance of the Three Kingdom” series, but it takes a more action-oriented approach. 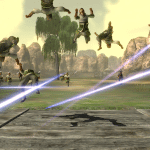 You are usually fighting hordes of enemy forces in an effort for dominance in an ancient Chinese world. 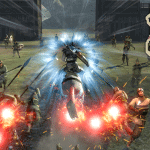 It has a devout following of gamers too and Tecmo KOEI has seen fit to release a version for the PS Vita. I have to admit that I am far from a Dynasty Warrior veteran, but given the series has seen a lot of releases on home consoles, I was very interested to see how the series would make the transition the Sony’s new handheld. When sitting down in front of my computer figuring out how I would write this review I was faced with two choices, go deep into detail and drone on forever, or skip the detail and just tell you how I feel. I think that I am going to try to find somewhere in the middle, given the depth of Dynasty Warrior games. That being said, I am going to not try to bore you as well, given that I could write a long review indeed. Long story short, given the source material for this game, it packs a lot of content and story for anyone to try to soak up. 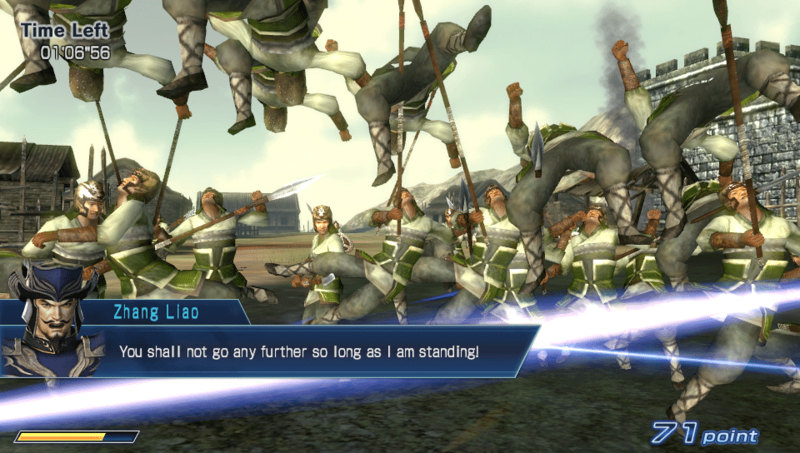 Dynasty Warrior Next’s narrative is a linear one. 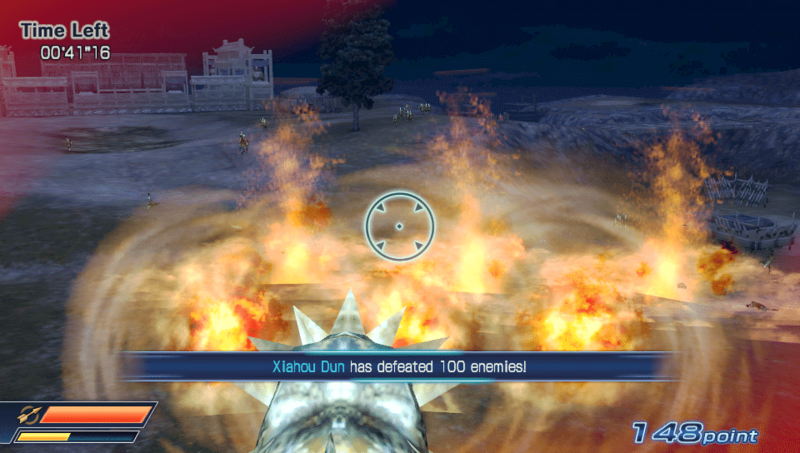 You end up playing as various generals who fought battles in ancient China. You’ll take up the battle for different kingdoms during your gameplay and you’ll have a lot to look at, plan for, and fight. You are shown a map that contains different territories and who is in control of them. You have a choice of where you want to attack. This shows a bit of the game’s strategy roots (turn-based) that this action game is derived from. It is here that you’ll enter the conquest mode or campaign modes and where you will find yourself playing the most. One of the main things you will find yourself doing before each encounter is choosing your stratagems. These are abilities that your specific general(s) possess and they can give you a slight advantage over your enemy should you choose the right ones for your battle. You will spend your gold on cards that represent the officers of your kingdom, and each one these signify the ability you have chosen. I found it a nice little feature and I really thought through which cards to buy depending on what battle strategy I was going to take. Choosing the right one can actually be a determining factor in how easy, or hard, your battle will be. Once you are done setting up your battle you are then dropped into the battlefield. You are faced with a large number of bases along with a large number of allied forces and enemy forces. Of course, as you’d expect with a game that has it’s roots in a strategy game, you can take over any of the opposing forces bases after you decimate the soldiers defending it; however, your main goal during the game is to capture your enemy’s main base while defending your own. Most of the battles are of this nature. Not being the most adept at strategy games, I found that I could feel somewhat overwhelmed; as I was trying to juggle my attacking forces along with those I had defending. Focusing on multiple things could throw me off now and then, but with a little patience and perseverance I was able to plow through some of the major battles. Most strategy oriented gamers will probably not have this issue, but those who are not use to strategy based games will face a bit of a learning curve. I have to say that this although this game is indeed an action oriented game, it has a lot more strategy then I initially thought it would and it shows in the gameplay. 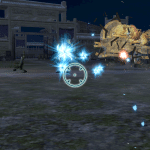 Something worth briefly mentioning is your Break Meter and your Musou Meter, which fill up during your battle. The Break Meter lets you capture a base, that is not considered the main one, with a touch of the screen. 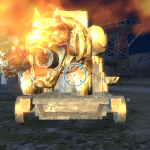 Your Musou Meter is your magic, and this lets you use a very powerful magical ‘move’ that has the ability to literally obliterate large numbers of the enemy forces at once. Once you get the hang of using these you’ll see that they are indeed important, which I for one found out quickly. As this game is on the Vita, you’ll find quite a few Vita specific controls implemented that are not possible on any console version of the game. 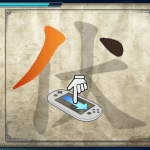 In regards to attacking and using your magic, you may find yourself tapping the rear touch pad to summon some of your magic, or even using the touchscreen as you draw specific motions to affect your spell. Heck, you’ll even shake the Vita to use the motion control feature to unleash another form of magic. Overall most of these types of control uses are not bad, nor are they overly gimmicky, and they do not take you out of the game so to speak as they feel like they have a place in the gameplay experience. Vita specific controls are not left for just attacks or magic. 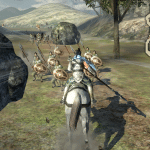 You’ll find yourself using the motion controls to dodge enemies while racing on a horse, or use the touchscreen to swipe away enemy attacks. Do the latter quick enough and there may just be a reward for you. There is a Gala Mode that allows you to try to beat your best score and time on previous battles. 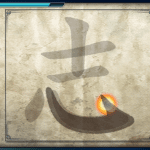 There is also a Calligraphy Mode where you try to reveal the hidden Chinese letter (also known as Kanji). This mode utilizes both the rear touch pad and the front touchscreen. It was great to see Tecmo KOEI try to add something new like these while using the Vita’s unique control options in an effort to freshen up the whole gameplay experience. 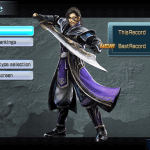 If I have any complaint, and this is coming from a relative rookie to the world of Dynasty Warriors, it is that the game can feel somewhat repetitive and drag on. For me, stepping away and playing a few other games, then coming back and playing Dynasty Warriors Next made this fact more bearable, but rest assured if you buy this as one of only a couple of games for your PS Vita library at first, then you might tire of it if you play it for frequent and extended periods. You’ll find a lot of similarities in battles, landscape, and even in-game dialog. These kinds of things caught me off guard and as I started to see, and hear them, it took a bit away from my enjoyment. Don’t get me wrong, it is not something that makes this title a dud, but it can become noticeable and I thought it was worth mentioning, especially from a Dynasty Warrior rookie perspective. If you are looking for a little multiplayer action, 1-3 players can come along for the ride via the PS Vita’s Ad Hoc mode in what is called “Coalition Mode”. Four player cooperative is a good idea, but you’ll need to be in the same room as those you wish to play with. I unfortunately did not have the opportunity to try this out given that there was no one in my home office to play this mode with during my review time. Visually I was pretty happy with Dynasty Warriors Next. The on-screen characters look pretty good and the animation was solid. The latter is quite impressive given the sheer number of characters on-screen at once. 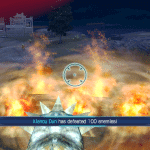 I was also impressed that when the screen got very busy, with battles and special effects (e.g. explosions), that there was nary a hiccup seen and the game rarely, if any, slowed down. You’ll find that there is a bit of pop-in as the draw distance is not that far, but given you will be focused on fighting the hordes of enemies, this shouldn’t be an issue. You will also find a lot of the environments can repeat too, but again, it’s not a deal breaker as the environments looks pretty good and help bring ancient China to life on the Vita’s 5-inch OLED screen. Finally, in regards to the game’s audio, this was a mixed bag. As noted earlier in this review, you’ll find the voice acting repeats quite a bit, especially during battle. The music matches the ancient Chinese time period that it is set in too. 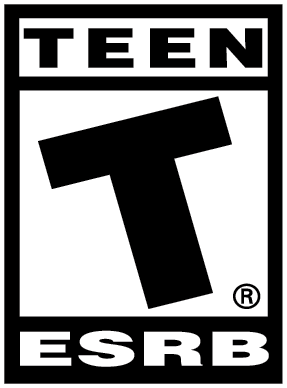 As for the sound effects, they are good, with ample battle sounds, lots of explosions, and lots of people dying. The sound effects definitely convey the battles you find yourself in. 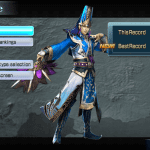 Overall I would have to say that although Dynasty Warriors Next is not a bad game, but it is not an overly good game either. If anything I would say that is definitely above average, which in the end still makes it a title worth looking at. 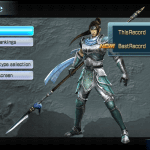 If you are looking for an action game that has it roots deep in the world of strategy, and you are looking for such a game to take with you on the go, then take a close look at the PS Vita version of Dynasty Warriors, as it may just fit this bill.